Washington County Sheriff’s Office: Exchange Info or Call Police? You’re driving along, minding your own business, then . . . BAM! Another car collides with yours. Do you need to call the police or just exchange information? You do not need to call for non-injury collisions if you can safely exchange information with the other driver. In these situations, police do not determine which driver was at fault for the crash; that will be decided by the insurance companies. 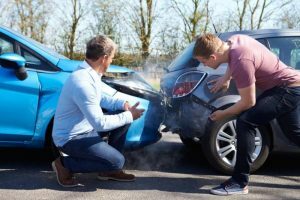 No one plans on getting into a car crash, but being prepared can help reduce anxiety and get you back on the road quicker. Print our Accident Information Exchange Form for your glovebox. You can use it to help you and another driver exchange the necessary information. Travel Beaverton & Beyond: What’s New on Maui?